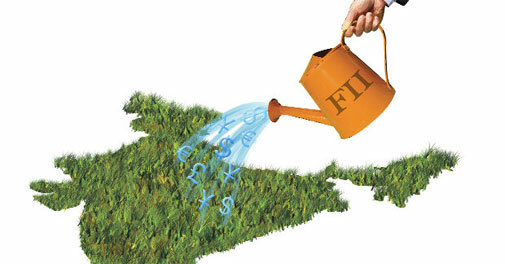 FII stands for Foreign Institutional Investor– e.g. Goldman Sachs, Morgan Stanley. DII stands for Domestic Institutional Investor- e.g. HDFC, LIC. Institutional Investors are Organizations like Investment banks, hedge funds, insurance companies, banks, pension funds, mutual funds. The stock market rises and falls because of the trading activity of these colossal giants. Foreign institutional Investors have gained a significant role in Indian stock markets. A foreign institutional investor (FII) is an investor or investment fund registered in a country outside of the one in which it is investing. FII’s can invest their own funds as well as invest on behalf of their overseas clients registered as such with SEBI. These client accounts that these FII’s manages are known as “sub-accounts”. The term is used most commonly in India to refer to outside companies investing in the financial markets of India. International institutional investors must register with Securities & Exchange board of India (SEBI) to participate in the market. Usually major market regulations pertaining to FII involves placing limits on FII ownership in Indian companies. FII’s supplements domestic savings and investments. It lowers cost of capital, access to cheap global credit. It leads to higher asset prices in the Indian market. It has also led to considerable amount of reforms in capital market and financial sector. There are generally two ways to invest for FII’s. 100 % DEBT : 100% investment has to be made in debt securities only. They increase depth and breadth of the market. They play a major role in expanding securities business. As FII’s focus mostly on the companies fundamentals before investing in a company,this helped efficient pricing of share. The Impact of FII’s is so high that whenever FII’s tend to withdraw the money from market, the domestic investors gets fearful and they also withdraw from market.